So I signed up for CampNaNo with the writing goal of 60,000 words my main focus will be on my J2 big bang as well as a my new Torchwood story the one where Ianto and Rhys have been effected by an alien device that has wiped for Ianto all memories of Jack, Lisa and Torchwood and Rhys loses all memory of Gwen. I, like so many was sadden and heartbroken to learn that Luke Perry had passed away today. He was one of my first TV crushes and I was lucky enough to have met him a few years ago. 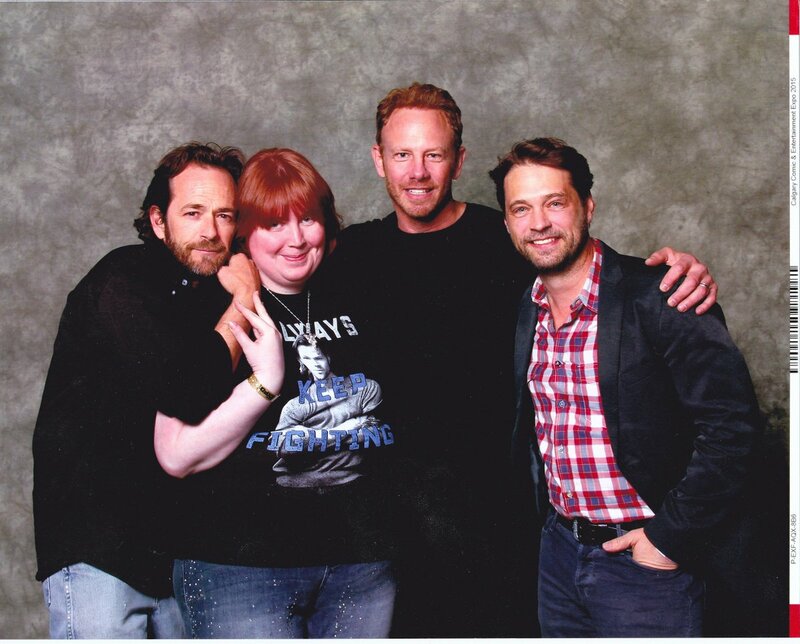 This photo op was one of my favorites, I treasure it now and always.